While investigating the effects of two drugs used on breast cancer tumors prior to surgery, a team of doctors from the Institute of Cancer Research in London stumbled upon a remarkable finding: In about 11 percent of the patients, the drugs not only shrunk the tumors, they completely obliterated them. What's more, this was done over just 11 days. Although still in the early stages, the dramatic results could mean that some breast cancer patients may no longer need to undergo chemotherapy. The results from this two-part study were recently presented at the 10th European Breast Cancer Conference, and are based on the results of 257 women that had recently been diagnosed with HER2 positive breast cancer. At first, 130 women were randomized to receive no treatment prior to having the tumors surgically removed. This was the control group. A second and third group received trastuzumab (Herceptin) only, or lapatinib (Tyverb) only, for 11 days after diagnosis and before surgery. The remaining 127 women were randomised to the control group, or to receive trastuzumab only, or a combination of both drugs. 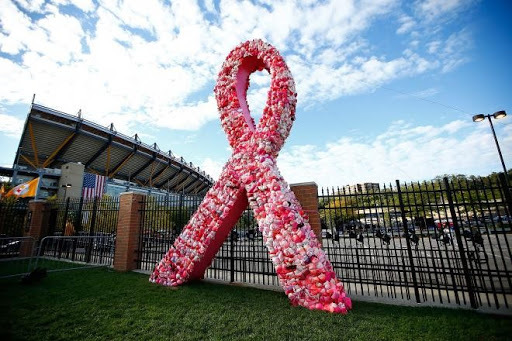 The team was interested in studying the effects of lapatinib and trastuzumab, two drugs known for targeting HER2, a protein that fuels the growth of about one in 10 breast cancer tumors. The drugs were previously noted to have a strong effect on breast cancer tumors on their own; Herceptin works on the surface of cancerous cells while lapatinib is able to penetrate inside the cell to disable HER2, The BBC reported. However, when used together the effect was most remarkable. In only 11 days, all signs of cancer disappeared completely in 11 percent of the patients. In 17 percent of the patients, the tumors had shrunk down to less than 5 mm. The response was even seen in women who had presented Stage 2 breast cancer which had spread to their lymph nodes. According to BreastCancer.org, the HER2 (human epidermal growth factor receptor 2) is a gene that can play a role in the development of breast cancer. The HER2 gene makes HER2 proteins that are receptors on breast cancer cells. HER2-positive breast cancers occur when the HER2 gene is amplified or overexpressed. The researchers believe the results could be a "stepping stone" on the route to tailored cancer care. "Clearly these results need further confirmation, but I suspect the excitement from seeing the speed of disappearance of the tumors will mean that several trials will attempt to confirm these results," co-author Professor Judith Bliss said at the EBCC-10 press conference, as reported in a recent statement. The next step is to confirm that these results can also be translated into long-term survival. "We would have to be very clear we're not taking a backwards step and increasing the risk of relapse," added Bliss. So far, this is the only trial to have tested the effects of using these drugs together without any chemotherapy. Currently HER2 positive breast cancer is treated with chemotherapy followed by Herceptin treatment. However, according to Professor Fatima Cardoso, who is Director of the Breast Unit at the Champalimaud Clinical Centre, Lisbon, Portugal, in a recent statement, the results suggest that "most probably there are patients who can be treated with dual-blockade alone, without chemotherapy."